Habitat: Desert, Upland, Mountain. This drab wildflower grows in dry, sunny, rocky areas. Description: The flowers are 1/2 inch (1.3 cm) across and have 5 blunt-tipped lobes. The lobes are often bent backwards toward the stem and have darker, brownish patches at the lobe bases. 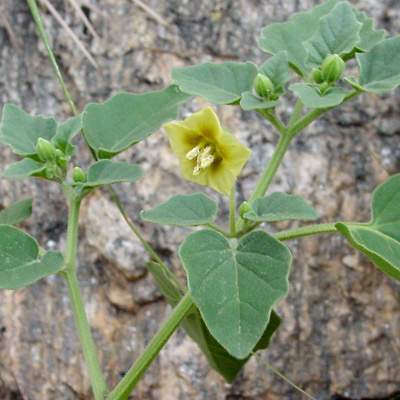 The leaves have wavy, variably large-toothed margins and are green, alternate, petiolate, and heart-shaped to broadly oval in shape. 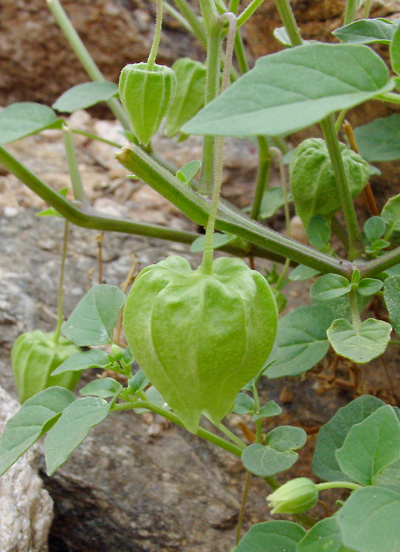 The fruit is a round, green berry inside of a large, inflated, paper lantern-like green calyx. 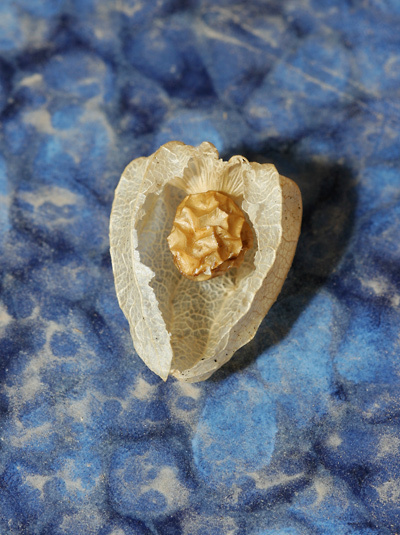 When dry, the berry is yellow-brown and wrinkled and the calyx is tan and papery. 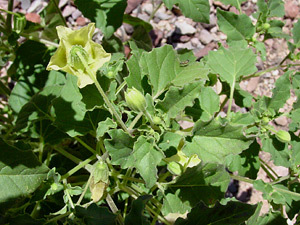 The stems are green and branched.